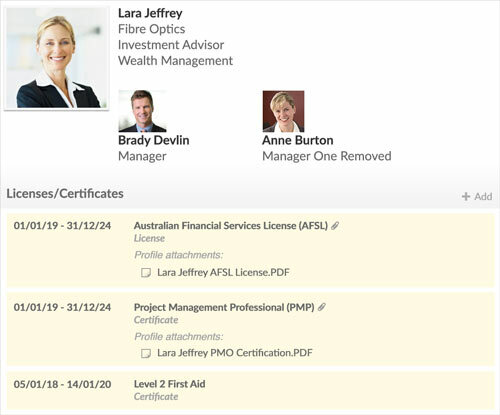 Access a library of quality compliance courses legally verified for use in Australia and New Zealand or use your own. Remove the administrative burden of compliance while reducing your legal, financial and reputational risk. Automate and integrate compliance training as part of the onboarding process. Target courses to specific groups. Schedule periodic training courses to ensure staff and contractors remain up to date on the latest compliance requirements. Track course completions and reduce administrative burden with automated reminders. Get rich reporting to understand course completion status, time spent learning and assessment scores. Access an extensive course library from the biggest names in eLearning in Australia. Capture, manage and track licenses and certifications. Send automated reminders to ensure critical compliance requirements are kept up to date. Courses from our content partner library can be customised with your own branding and logo. Use your existing compliance content in Cognology and get all of the benefits of automation and reporting. Courses in the partner content library include built-in assessments. 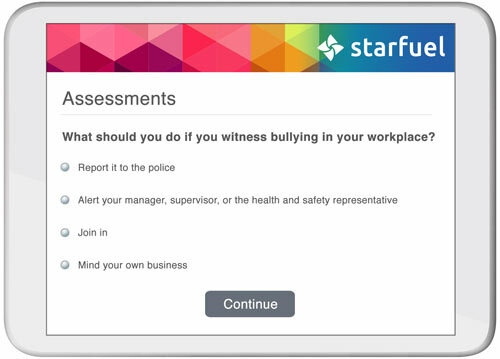 This ensures your staff and contractors achieve an acceptable result before completion of induction and onboarding. Assessments can also be used to trigger retraining where results fall below requirements.